So the summer season is over, but outdoor season for many countries has just begun or about to. In Kuwait we are still in the 32-42 degrees Celsius range, but hopefully soon it will cool down. 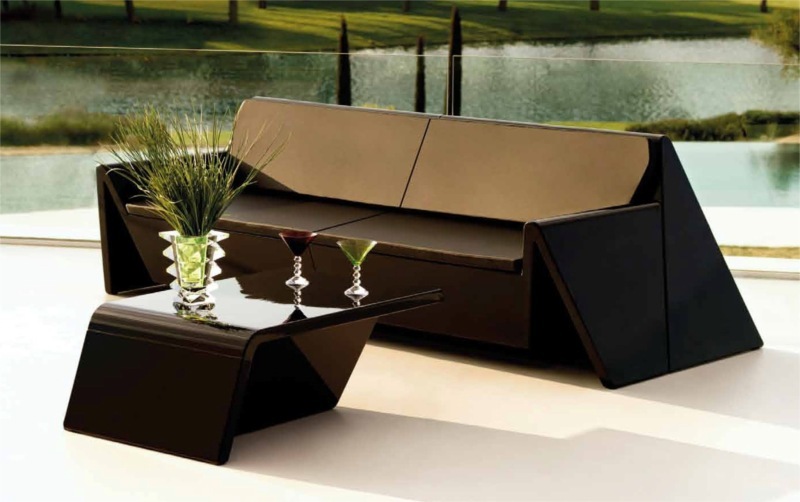 In the light of that I will put up a few posts focusing on outdoor furniture to help give you an idea of the current trends. 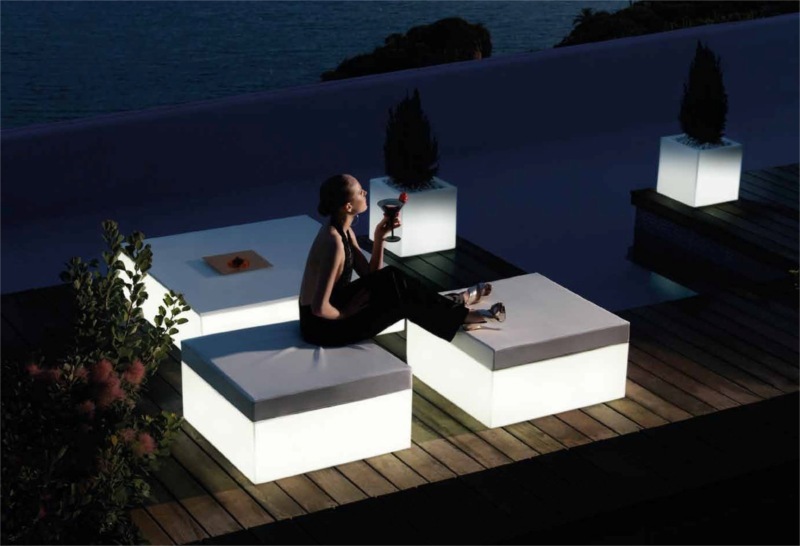 For those who like hip & designer outdoor furniture, one brand to look out for is Vondom. 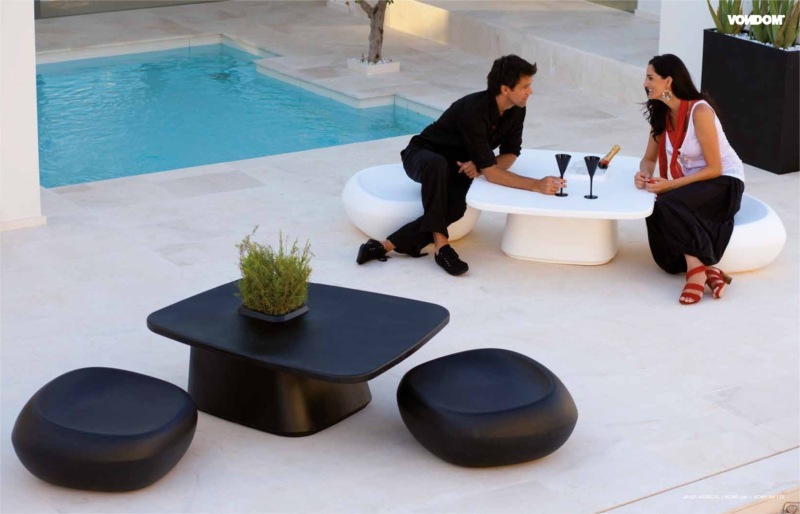 Vondom has the most complete range of outdoor furniture worldwide produced by the rotational molding process, offering widest variety of colors and patterns ever created. The technique can produce high quality products with a multitude of features, and as a result become unique pieces. 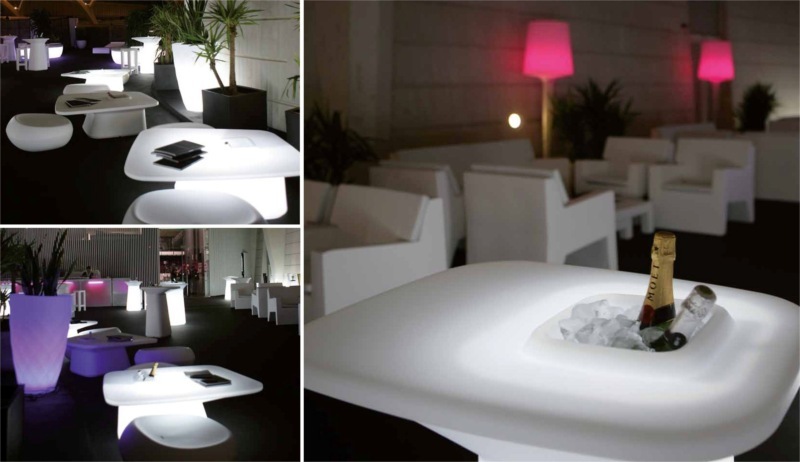 Vondom has a designer department –Studio Vondom- creating their products with internationally renowned designers such as Karim Rashid, A-Cero, Javier Mariscal, Ramon Esteve, Stefano Giovannoni, JMFerrero, Teresa Sapey, Archrivolto Design. Their pieces come in a variety of colors and finishes in addition to the option of being lit.